A seafood chef from Portland, Maine got quite a shock when he checked his fresh lobsters last week. 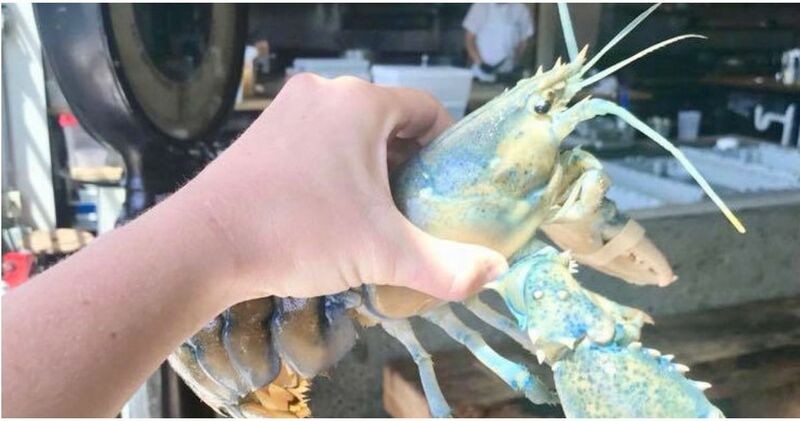 In the tank, mixed in with a bunch of typical-looking lobsters, he found one specimen with a pastel blue and yellow shell. 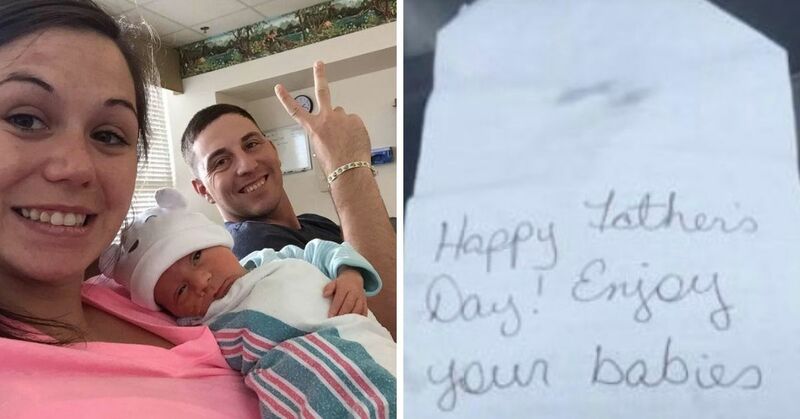 Since it's 2018, the restaurant was quick to share their lucky find on Facebook. "We had a “cotton candy” lobster in our tank over the weekend! They are extremely rare! (About 1 in 100 million!)" 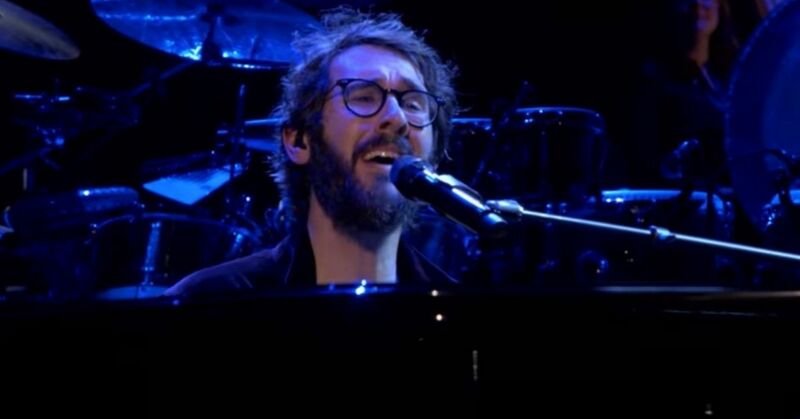 they wrote. 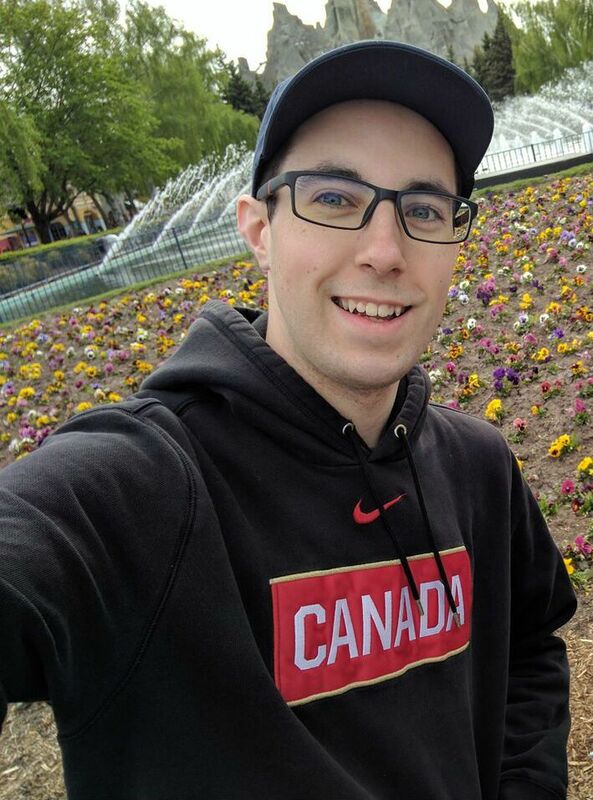 What color is a lobster? 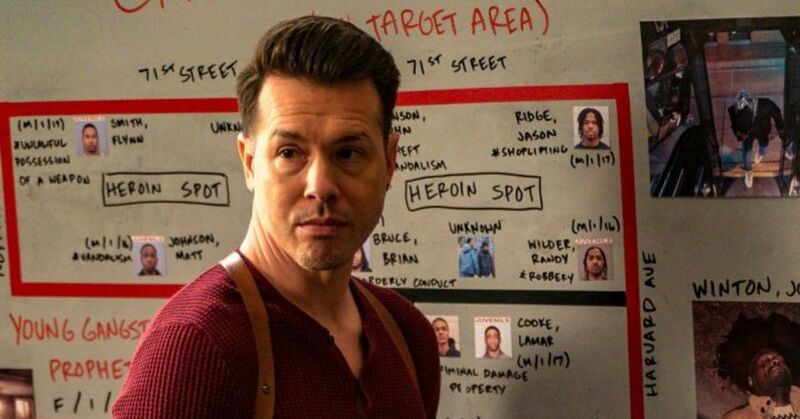 If you answered "Red," I'm sorry, but you're going home with a consolation prize. 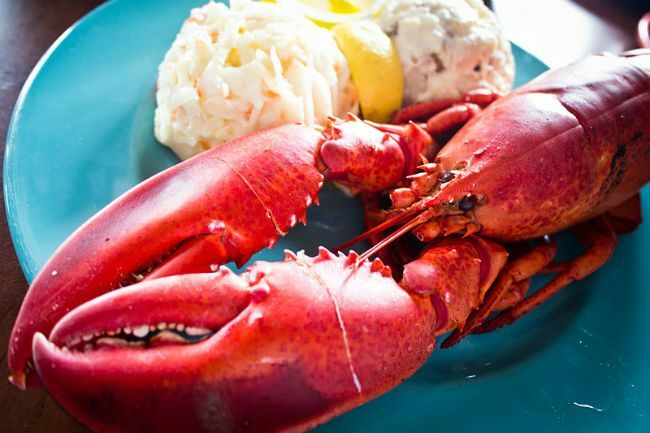 Lobster bodies are made up of three layers, including skin and shell. One of these layers is red, one is yellow, and one is blue. The final product is a mottled brown-green-blueish coat that blends in nicely with the ocean floor. 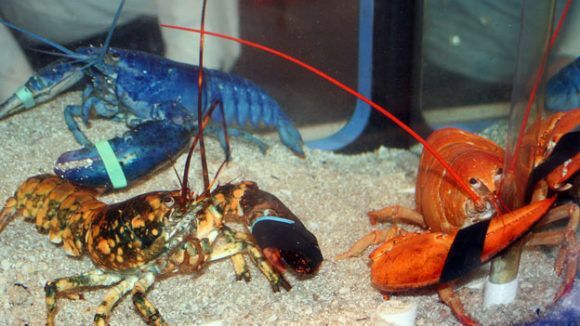 Lobsters only turn red when we boil them in a pot, causing the proteins in their body to break down. The thing is, a lobster's complicated body can experience all kinds of rare and unusual mutations that make them stand out. 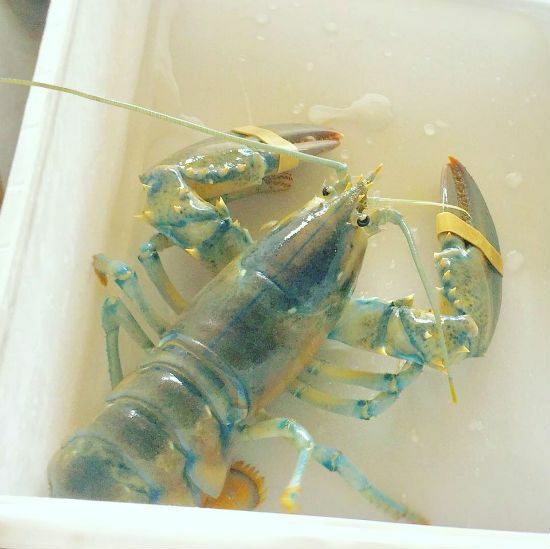 How rare is a blue lobster? 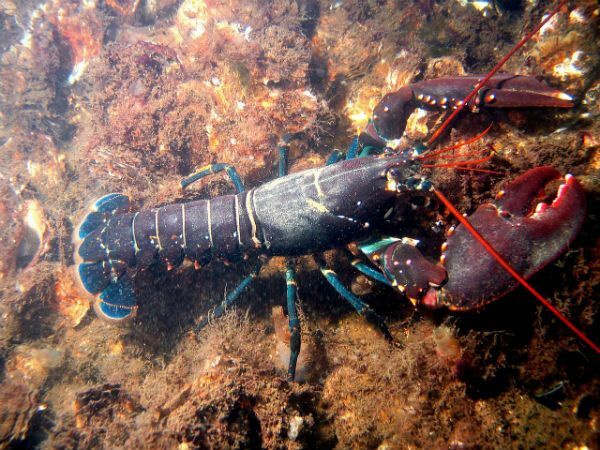 The most famous variety of lobster is a blue lobster, which has a genetic mutation that only shows the blue layer of its body. The odds of scooping up a blue lobster is about one in 2 million , meaning around 120 of them are found each fishing season. 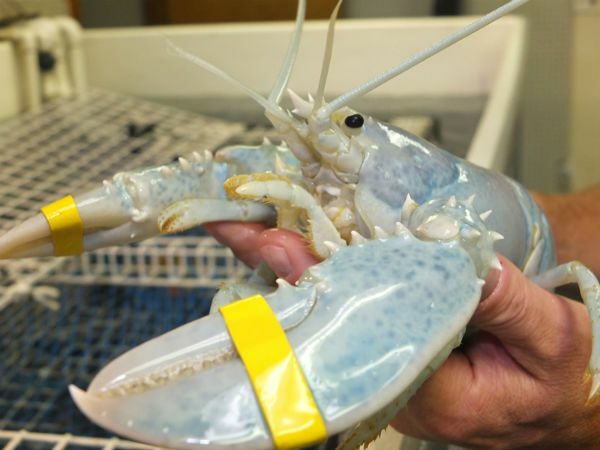 And for the record, a blue lobster will also turn red if you cook it, but most of these lucky creatures are returned to the sea or donated to aquariums instead. 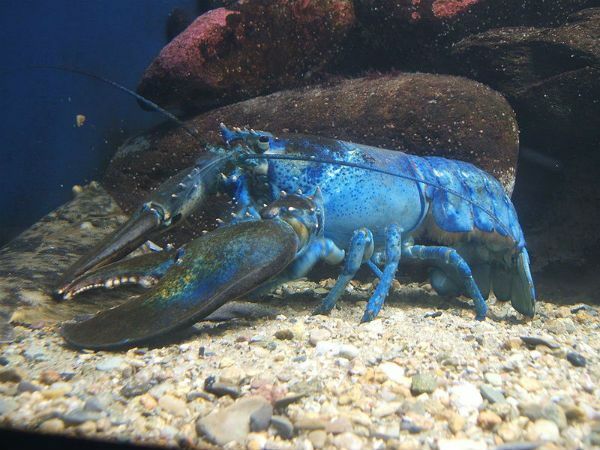 You may be surprised to learn a blue lobster is actually considered boring compared to other odd varieites. There are also naturally red lobsters, born with a different type of genetic mutation that affects one in 10 million lobsters. 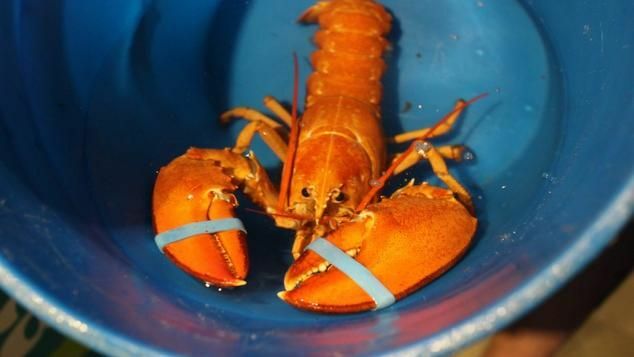 Yellow lobsters are even rarer, just one in 30 million. 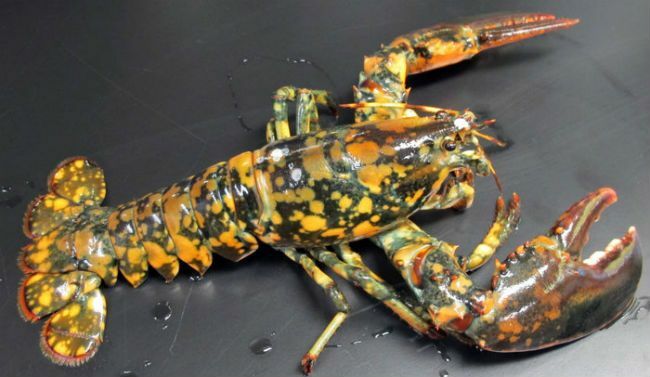 Now, sometimes lobsters are born with odd mishmash colors from different shell layers, like orange lobsters with red and yellow pigment but no blue. Calico lobsters (also called Halloween lobsters) have black and orange spots all over their bodies. Like all animals, there are also albino lobsters born without any pigment, which account for one in every 100 million lobster births. One last variety of lobsters is either incredibly rare or more common than anyone realizes. Split lobsters are sort of conjoined twins, the fusion of two separate lobster embryos. Sometimes, they are even hermaphroditic, combining a male and female lobster on either side. While most researchers assume these split lobsters are extremely rare, there's a chance that many conjoined lobsters with matching sexes and colors are actually floating around the ocean totally unnoticed. The staff at Scales aren't the first people to find a lucky pastel lobster. 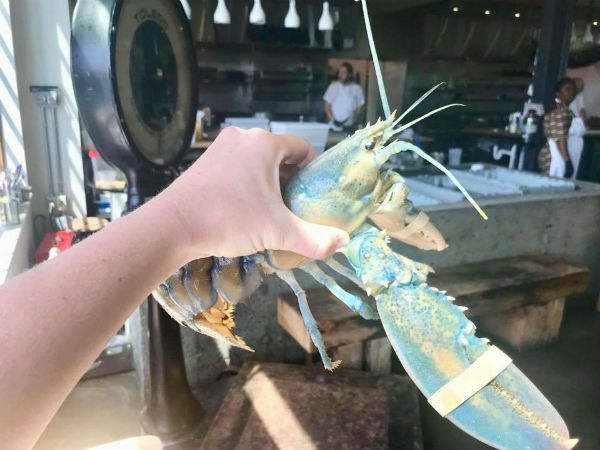 A fisherman from Canada also pulled up a blue, pink, and yellow crustacean that he named "Lucky" in 2017. 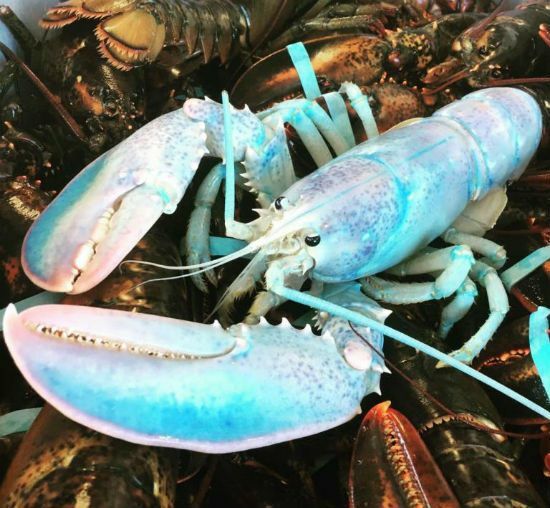 Experts say they see a "cotton candy" lobster every four of five years, and they're still trying to learn just what causes this color combo. Obviously it's a mix of blue, yellow, and red, but the colors are all very faint. 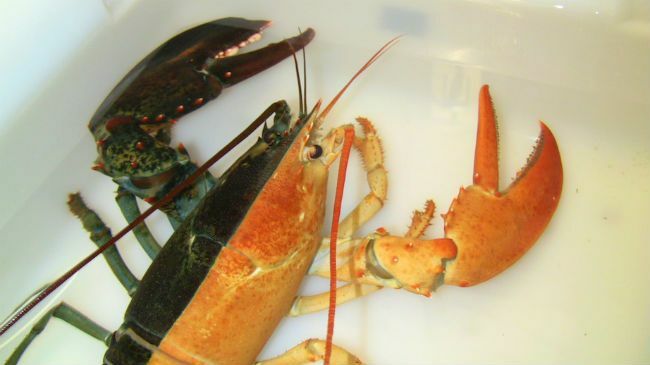 The guess is that these lobsters either have a cute genetic mutation, or they're feeding on an unusual food source. Like flamingos who turn pink because of the shrimp they eat, a lobster's diet can change the color of their shell. 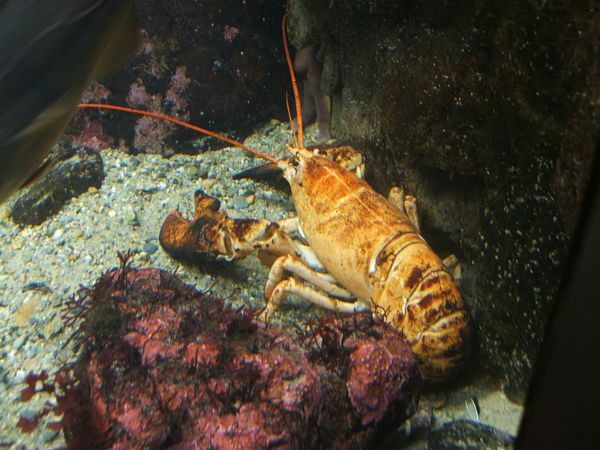 Aquarium lobsters fed highly nutritious food sometimes turn white, so the pastel lobsters may have been living off a fisherman's bait instead of live prey. 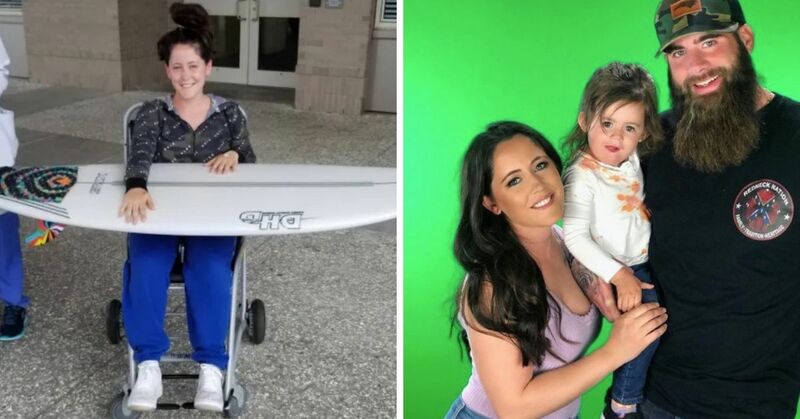 While Lucky was donated to an aquarium, the cotton candy lobster from Scales was released back into the sea, so there's a chance some lucky fisherman could find her again. Did you know lobsters came in so many colors? 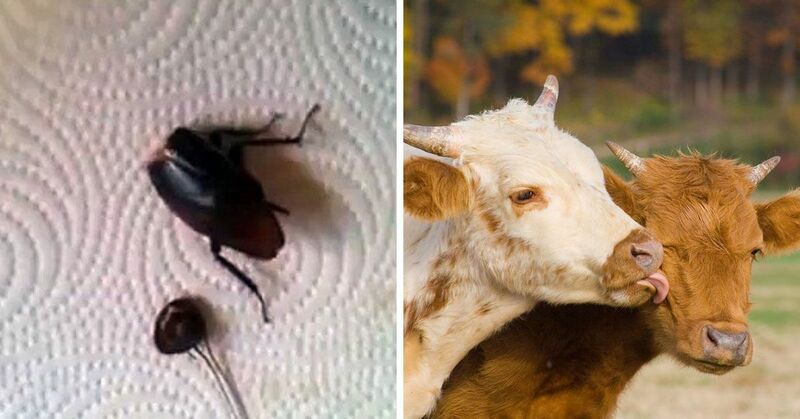 Animals are such amazing creatures. There are more than 7.7 million different types of species on Earth, with many more still waiting to be discovered.While we know why dogs exhibit odd behaviors (by human standards at least), it's impossible to know everything about all of the animals in the world. 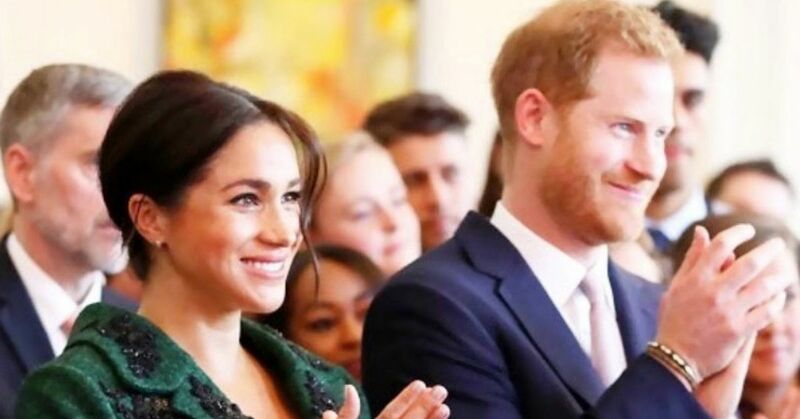 Luckily, scientists have uncovered fascinating tidbits of information about a few of the most well-known creatures that blow us out of the water.